 Contemporary Automotive is back with the most awarded SUV ever, and is sure to please the crowd! The 2017 Jeep Grand Cherokee near Nashua is the most capable version ever produced. For 2017, the Grand Cherokee is offered in Laredo, Limited, all-new Trailhawk, Overland, Summit, and SRT trim levels. 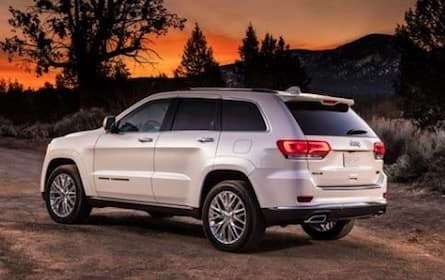 Thanks to its wide selection of trims, the Grand Cherokee offers prospective buyers the choice between four powerful engines that offer up the incredible capability and performance that the brand is known for. The award-winning 3.6L Pentastar® V6 engine offers up 295 horsepower, the 5.7L V8 engine delivers 360 horsepower, the 3.6L V6 diesel engine offers 240 horsepower, and finally, the 6.4L HEMI® V8 engine cranks out a jaw-dropping 475 horsepower. Drivers can now choose the engine that best fits their lifestyle! That’s not all! The legendary Jeep capability comes from four available 4×4 systems offered in the 2017 Grand Cherokee, as well as the brand’s Quadra-Lift air suspension system and class-leading Selec-Terrain traction management system. Even more, this 2017 model boasts best-in-class towing of 7,400-pounds–making your Jeep Grand Cherokee the go to car for all of your outdoor adventures! The 2017 Jeep Grand Cherokee makes an incredible first impression everywhere it goes. Featuring the brand’s signature grille, the 2017 Grand Cherokee utilizes the same front fascia that debuted on the 2016 Grand Cherokee 75th Anniversary Edition. Long defined as what a premium SUV should be, this model only gets better once Nashua area Jeep shoppers step inside. 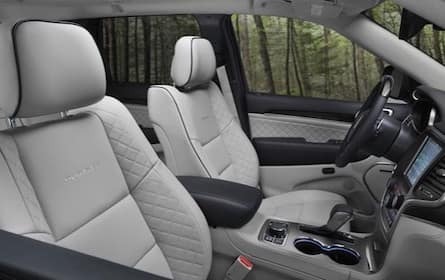 The cabin features available premium leather seating, available heated front seats and heated second-row seats, and available ventilated front seats. With seating up to five, this Jeep model is the ideal car for small families. Coming standard with a plethora of innovative features, the 2017 Jeep Grand Cherokee is sure to keep everybody entertained. The Uconnect® 5.0 system comes standard on Laredo and Limited models, while the rest of the trims include the Uconnect® 8.4 system, which features an 8.4-inch color touch screen and allows drivers to have easy control over the vehicle’s multimedia features. Shoppers also have three sound systems to choose from inside this 2017 model; Laredo and Limited models come standard with a six-speaker audio system but those who are serious about their tunes can opt for the available Alpine premium audio system that includes nine speakers or the Harman Kardon® audio system that includes 19 speakers. Drivers now get to feel like they are first row at their favorite artists concert! Our Jeep dealership is here to provide our drivers with happiness, as well as a safe drive. The 2017 Jeep Grand Cherokee includes a number of standard and available features that help to keep you and your loved ones safe. The advanced airbag system includes multi-stage driver and front passenger airbags, side-curtain airbags, front-seat side airbags, and a driver inflatable knee-bolster airbag. For further protection, prospective buyers can opt for the available Blind-spot Monitoring system with Rear Cross Path Detection and the parallel and perpendicular park system. All models come standard with a rear back-up camera and rear park assist system so that drivers can feel confident during every drive. For more information about the 2017 Jeep Grand Cherokee, contact Contemporary Automotive at (844) 500-6722 to schedule a test drive.